When talking to people or showing content online, you need to have clarity on which message you want to bring across. Therefore; preparing a good story, in which your key message is captivated, is essential. Certain people will connect with it, others will not. The ones who will might become part of your closer network, and now or in the future, turn into your clients or employer. 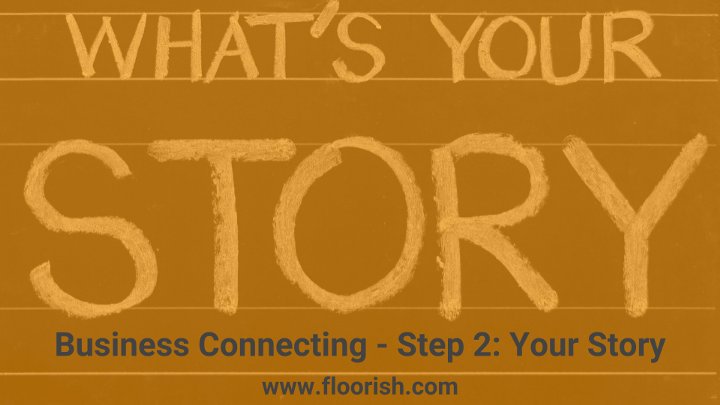 The why is the most important part of your story, because it makes it authentic. The why is all about your purpose, cause or belief. Your why will attract people who believe what you believe. They can become your die-hard fans who read your content, buy your products and promote you. It’s the vision and translation of why you do what you do. 1. What are the peaks of your life’s journey? 3. Finally, what is your why in a nutshell? 1. How will your expertise/business affect the lives of the target audience? 2. How will the world be different by your expertise/business? 3. How will the world be worse off if your expertise will not be used or your business ceases to exist? I have been searching for my why for a long time. At a certain point, I even started asking people what they thought my why was. I realized it was something I have been doing my whole life. I was always in the middle, looking for a way to connect. I am the middle child of a family of three children. I was literally in the middle of the hockey field, where I played the centre midfielder. In the (voluntary) work I did I always ended up organising events because I wanted to bring people together. I also did a lot of PR work, simply because I was interested in finding ways to make people relate to the work. A second relevant aspect of my story is that since childhood I have been very aware of inequality topics (I have a poster of Martin Luther King in my apartment, of who I read a book when I was about ten years old). Partly, therefore, I felt the need to travel to other continents, in order for me to understand more of the differences in the world and get to know other cultures and perspectives. Social media gave me a tool to stay connected with the people I met along the way and to start global online groups. I always felt that things needed to change in order for ALL people to have equal possibilities in life to pursue their dreams. This is actually one of the reasons for me to start creating the e-learning Business Connecting. I believe that there are so many people, all around the world, who have something beautiful to share but don’t have the right knowledge or financial possibilities to do this. They cannot yet see all the possibilities that exist to connect with the right audience. With the e-learning, I want to give them guidance and make them see that they don’t need a lot of money to make their audience grow. They just need a good strategy that helps them connect with the people that are interested in their why.